It’s Friday afternoon; a winter storm is on its way. She walks in, standing about five foot eleven. She orders a glass of red wine; leans in and, with ease, begins to share her journey to the top. She recalls being an ambitious, young Wall Street analyst getting her chance to chat with one of the world’s most successful female portfolio managers at the time. “I asked: What do I need to do to get where you are?” she says. Instead, she charted a less-than-traditional path up the corporate ladder on her own terms. After three and a half years of 19-hour workdays, Thomas-Anderson left her analyst position at JP Morgan and began grant and contract management for CARE International. She soon found herself negotiating with foreign governments and organizations, including the United Nations, and traveling the world. During the 1996 Olympics, she served the International Olympic Committee as the envoy for Senegal. Unlike athletes from developed nations, the Senegalese did not have access to private planes and fine dining. That’s why she brought the team to her home one day, and prepared a meal for the team to eat with her and her family. Throughout the years, Thomas-Anderson has gained experience in nearly every industry vertical – working as Vice President of Diversity at Spherion and strategizing for Dell’s global supply chain. She worked under XEROX’s Ursula Burns, the first black female CEO to head a Fortune 500 company, implementing key components of President Obama’s Affordable Care Act as the Vice President of Government Healthcare Contracts. To jumpstart connectivity across the platform of global B2B business partners Kimberly-Clark supports, Thomas-Anderson created and implemented the first global procurement initiatives alignment meeting in December 2012. The forum brought together global procurement thought-leadership for the development and identification of worldwide initiatives that contributed to transformational cost management and value creation for Kimberly-Clark’s Global Non-Wovens, Healthcare, Professional, and Sustainability operations. And, that’s why she thinks her broad-bench skill set is just what corporate Boards are missing. Thomas-Anderson has served on several nonprofit boards and committees, including the Georgia Governor’s Workforce Board, and, with $3 billion of responsibility on her plate, says she’s ready for a corporate appointment. The Lansing, Michigan native sat down with Little PINK Book to share her perspective on life, family, career and what it’s like to be one of a handful of African American women topping the ranks of corporate America. 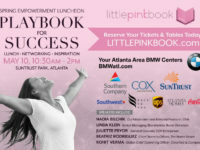 Little PINK Book: What do you think has been the greater barrier in your career, being black or being a woman? 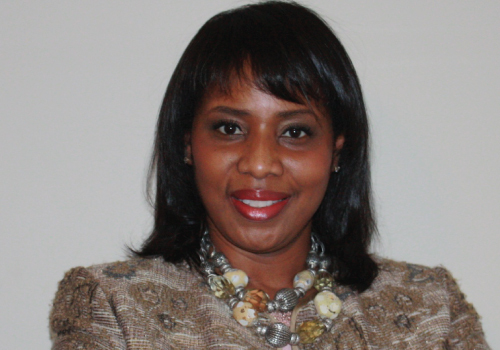 Angela Thomas-Anderson: Being black, definitely. It’s been a differentiator. Sometimes you don’t want to be different, and it can be lonely and frustrating. I’m not some rare bird; it doesn’t have to be that way. LPB: There a must be a strong lack of minority practitioners in your field representation in your industry? ATA: Yes. There aren’t many women, period. And, there really aren’t any African-American women. In fact, there are very few African Americans in strategic, executive leadership roles – certainly a handful in the whole country. LPB: You’re ready for the next big step – to join a corporate Board. How has your experience been with the nonprofits you’ve worked with? ATA: I currently serve on the Governor’s Workforce Development Board, which [helps bring] businesses to Georgia and ensures they have a capable workforce. We are funding unsung local heroes. The work they’re doing is amazing, particularly with youth. College isn’t for everyone, but everyone needs transferrable and transportable skills. These organizations are doing things like providing foster care children with job training programs to gain the skills and experience necessary to change their lives! Serving now as the board chair, and as a director has been one of the most enriching experiences. LPB: You also volunteer at a hospice for end of life care. Where does your spirit of giving back come from? [Service] That’s what’s really important. LPB: How do you deal with fear? ATA: If you’re afraid of something, you should just heed to it. Before volunteering at the hospice, one of the things I was afraid of was death. Initially, I was afraid of volunteering at the hospice; but, after sitting down with a 94 year old woman with acute respiratory failure, I experienced the peace she had. She was OK. I remember sitting with her as she rested, peacefully. Her family came bursting into the room to visit, suddenly awakening her! In that moment, I realized how much we impose ourselves onto other people without regard for what they want. They could have waited. Waking her up wasn’t for her; it was for them. LPB: What’s your biggest weakness as a leader? ATA: Really, really listening! Sometimes I start talking, assuming my team understands the foundation I’m coming from and I may lose them. I have to lay down the foundation and then move to the next level without assumption. I’ve blown past a lot of people and that’s not productive. If I understood these basics 10 years ago, that people have to truly hear to understand what you are saying, I’d be much further ahead. LPB: You’ve been married for nearly 20 years. You’re a mom of two. And, you have two dogs – a golden doodle and a chocolate lab. Any surprises? ATA: I auditioned for a reality show. ATA: I was one of the 24 finalists for the first season of The Next Food Network Star. LPB: So, you’re a chef? ATA: Sort of. I’m better with food than desserts. I make really awesome bruschetta and frittata. I love to have people over and host teas and brunches. I try to do it at least once every quarter. LPB: You were also a pageant queen. ATA: Yes, I competed in pageants when I was younger. LPB: Glitz pageants, like Honey Boo Boo? ATA: Oh, no. They weren’t like that then. But, I actually missed my senior prom to compete in the Michigan Junior Miss pageant. The prize money helped pay for my first semester of out-of-state tuition at Howard University. LPB: What excites you about the future? ATA: I get excited about the time of life we’re experiencing. People are starting to explore connections. We are starting to see how everything is tied together. LPB: What type of legacy do you hope to leave? ATA: I want to help create more spaces around what’s right with the world. We already know what’s wrong. I want to see more of the things moving our human selves forward instead of what’s pulling us back.